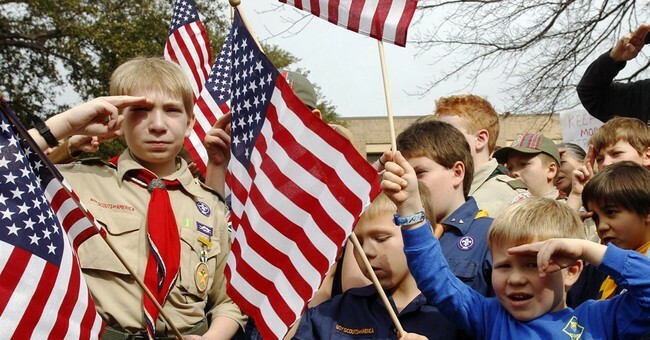 Just in time for summer the Boy Scouts of America, an iconic organization that has taught important principles for decades, has banned water fights between scouts because they are "unkind." A limit on the size of water balloons has also been implemented. The official source for this information: the 2015 Boy Scouts of America National Shooting Sports Manual, available as a PDF right here. This move can only be described as absurd. I understand the thought process of not wanting boys to point weapons at each other, and I respect it, but for crying out loud we're talking about toy water guns and limits on the size of water balloons (for the record, smaller water balloons hurt more and are harder to break on impact). The emasculation and wussification of America's boys, who eventually grow up to be men, continues. Before you know it we'll be living in a country full of basement dwelling, pajama and skinny jean wearing "men." Oh wait, we already are.